Our new secretary Sandra and her husband represented the band at the recent gathering of Lyme’s organisations, civic officials and worthies hosted by the Mayor. It is a good opportunity for sectors of the town to meet together in a non-business atmosphere and, additionally, in the band’s case, an important chance to foster a positive friendship with ‘he who pays the piper’ on summer Sunday afternoons! The training band hopes to benefit from the Tesco tokens scheme currently operating at the Axminster store. 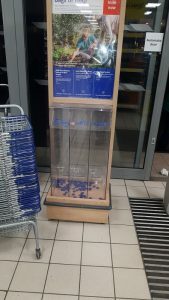 The scheme is Tesco’s way of selecting which local community project to support by granting funds from sums raised by the plastic bags charge. 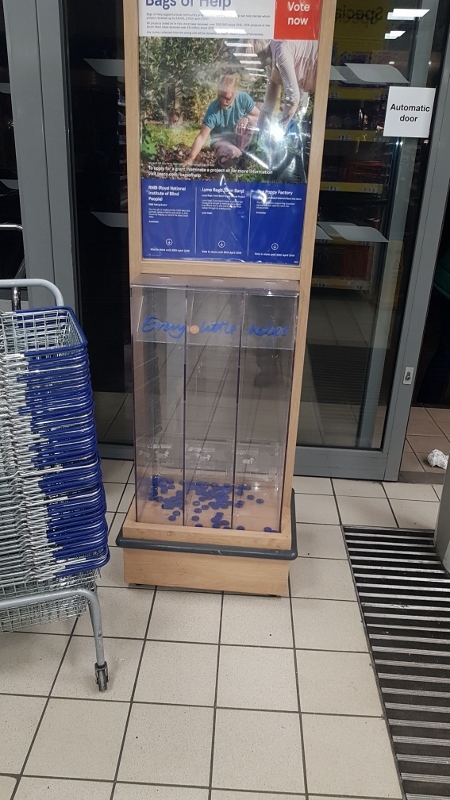 Shoppers are invited to select the training band as the charity they would wish to support by ‘voting’ for them with their token at the end of their shop. Fingers crossed the training band gets lots of support and wins the vote – I’m sure you agree they deserve it! COLONEL ROBERT BLAKE IS WELCOMED BACK TO LYME! The band is hugely looking forward to its forthcoming day-long workshop on May 4th, led by conductor and composer Rod Starr. Rod brings a wealth of experience creating, directing, teaching and performing music and the band is in for a real treat. Rod has written a march for the band entitled ‘General at Sea’ dedicated to Colonel Robert Blake who is often referred to as the ‘Father of the Royal Navy’. As well as being largely responsible for building the largest navy the country had then ever known, from a few tens of ships to well over a hundred, Blake also produced the navy’s first ever set of rules and regulations, The Laws of War and Ordinances of the Sea. His Sailing instructions and Fighting Instructions, which were major overhaul of naval tactics written while recovering from injury in 1653, were the foundation of English naval tactics in the age of sail. Blake’s association with Lyme Regis is that he played a leading role in holding the town when it was besieged in the civil war. Rod’s march is also dedicated to the Lyme Regis Town Band. The workshop will begin at 10.30. Brass players and bands from the area are most welcome to join us – please let us know by April 6th, via this website, if you would like to come. There will be no charge and lunch will be provided. Roderick grew up in Winchester where he developed his love of music in and around Winchester College and St Cross. He initially studied the organ under Isadore Harvey and later general music under Ernest Stride and David Squibb in Kent when he joined the Royal Marines School of Music and from where he developed as a composer and conductor. He went on to become a Bandmaster and a Director of Music. He studied harmony and composition under Michael Hurd and later 20th Century composition with Martin Ellerby. He has been commissioned to compose works ranging from Christmas carols to large symphonic pieces. The West Leigh Trust commissioned Roderick to compose a large work for mixed children’s choir, treble soloist, two pianos and percussion which he based on the story of Rumpelstiltskin and in 2013 the Waterlooville Music Festival commissioned him to compose a large scale work for Symphonic Wind Band which he entitled Scherzo Grandoise. 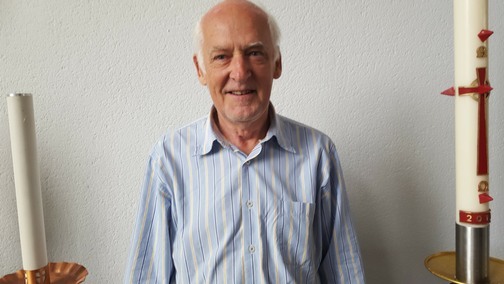 The“Chiure de Vent” society in Lille, France, honoured him with an award for his Shifting Sands wind band composition. Roderick currently lives in Emsworth, near Chichester from where he composes music and teaches for Associated Board Theory examinations. He was the organist of St Mary’s Church, Chidham before taking up the post of Director of Music and Organist of St George’s Church Waterlooville. He is particularly honoured to be successor to his late wife Stella who held this post before him. Roderick is a Licentiate of the Royal Academy of Music in conducting. He holds a Masters Degree in 20th Century Composition and is a Fellow of the Incorporated Society of Musicians. The band has launched a fresh recruitment drive to encourage new players to join its ranks. Players of all ages and abilities are most welcome, with free tuition available for learners and support and encouragement for “rusty” players. There are currently vacancies for Cornets, Euphonium and Basses but all instruments are welcome! Ready to learn? Or feel you need a refresher? The band rehearses at the Woodmead Halls every Tuesday evening. Tuition takes place from 7.00 pm until 7.45 pm with the main band practice from 7.45 pm until 9.30 pm. All enquiries would be most welcome and anyone interested is invited to pop in for a chat. Or – if you’ve looked through the website and want to find out more – please use our Contacts page. At their recent Annual General Meeting, chaired by Band President, Councillor Owen Lovell, band members appointed David Tozer as their Musical Director. David is taking over from Brian Scott who has decided to step down from this role after several years’ loyal service. 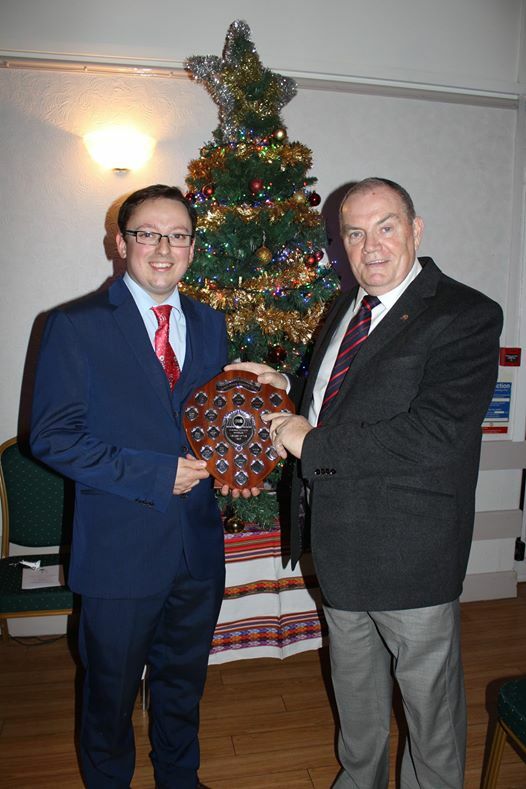 David is a talented and popular member of the band who was recently presented with the Gordon Broom Award, which acknowledges his outstanding contribution to the band. At the meeting it was also reported that Gilly Warr is relinquishing the post of Secretary after many years in this role. She was thanked for her hard work, which had contributed greatly to the smooth running of the band. 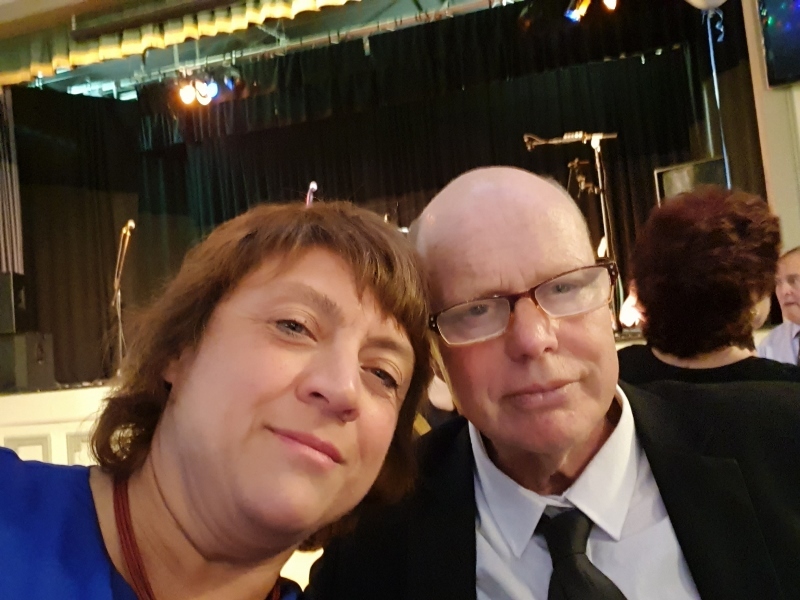 Gilly’s replacement is local resident, Mrs Sandra Evans, who has volunteered her considerable admin skills to the band, and she was warmly welcomed. Other officers and committee members were appointed for the ensuing year with Paul Snowball continuing as Chairman, Adrian Pearson as Treasurer and John Warr as Librarian. Debbie Woehrle was appointed as Vice Chairman, Adrian agreed to take on the role as Conductor, with Ellis Holt taking over as Musical Director for the Training Band. 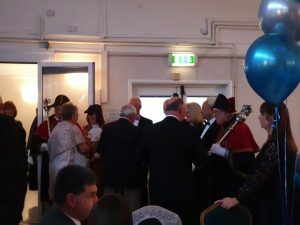 Committee members were confirmed as Robert Crabbe, Lynne Greenfield, John Hallett, Catherine Lancaster, Geoff Poulton, Steve Topp and Kathy Smith. As a registered charity the band is required to appoint two Trustees and John Evans and Derek Hallett agreed to continue in this role and the Chairman expressed the band’s gratitude to them for their support. In his report to the meeting the Chairman, Paul Snowball, congratulated band members on the success of their weekly concerts held on Marine Parade throughout the summer months and he also referred to the recent Christmas Concert, which had been well attended and greatly enjoyed by all concerned. Finally Brian announced the winners of his two awards. Solo cornet player Catherine Lancaster received the Bandmaster’s Award for the most improved player and the Musical Director’s Award, for the band member who “goes the extra mile”, went to Gilly Warr. Councillor Lovell brought the meeting to a close by thanking the band for their hard work throughout the year wishing them every success in the future. Congratulations to the winners of this year’s Bandmaster Awards, Gilly Warr and Catherine Lancaster, pictured with our retiring M.D. 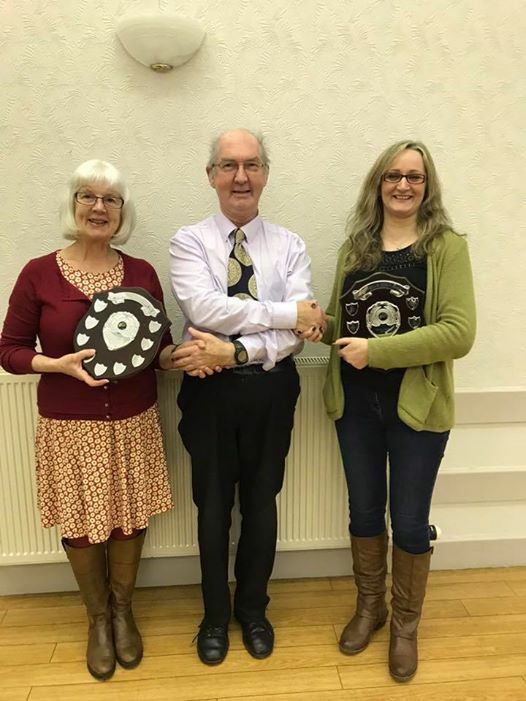 Brian Scott.Catherine was awarded Most Improved Player, and Gilly was chosen as the member who had gone the extra mile for the band over the last year. Thank you, Gilly, and enjoy your playing, and well done, Catherine – we look forward to hearing you play throughout the year. Thanks must also go to Brian who has also decided to step down as M.D. and hand over to David Tozer who will lead the band into 2019. We are delighted that Brian will continue to play with the band – not least because of his amazing ability to play several instruments and fill in when required. We played carols in Broad Street this morning. The very kind lady and gentleman in the Fudge Kitchen provided us with coffee and teas and we are very grateful to them for their hospitality which is much appreciated. 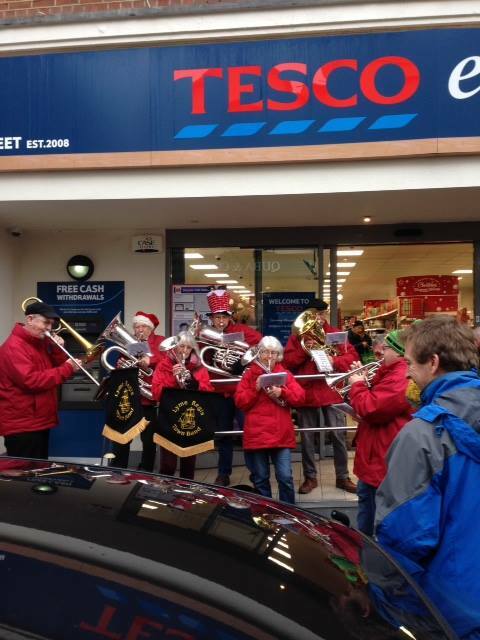 To finish off the morning we moved up the street and played a few more carols outside Tesco. We only had a small band but there were enough of us to make a good sound and everyone was very appreciative of our efforts. We’ve now packed up our instruments and will not meet again until our first practice of the new year, which will take place at Woodmead Halls on Tuesday, 8th January 2019 from 8.00 pm. It would be lovely to see some new faces so if you would be interested in joining us please feel free to pop in for a chat. 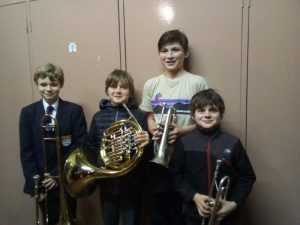 We are a friendly, non-contesting band and we welcome players of all ages and abilities from youngsters just starting to learn, to “rusty” players who would like to start playing again. A gentleman approached one of our players when we were playing in the Square on Remembrance Sunday to say he lived locally and played the euphonium. Unfortunately we didn’t get his name but if you are out there please get in touch – we would love to see you. Finally we would like to thank all our families and friends for supporting the band throughout 2018. We wish everyone a very Happy Christmas and we look forward to another busy year in 2019. The photo above is courtesy of Anna Crabbe. Just got back from playing at the Rotary Club Carols around the Christmas Tree in Lyme Regis – one of our favourite events. It was a perfect evening – not too cold and a lovely full moon overhead. The Christmas lights looked amazing and we’ve never seen such a huge crowd. There was a lovely atmosphere and we really enjoyed being part of it all. 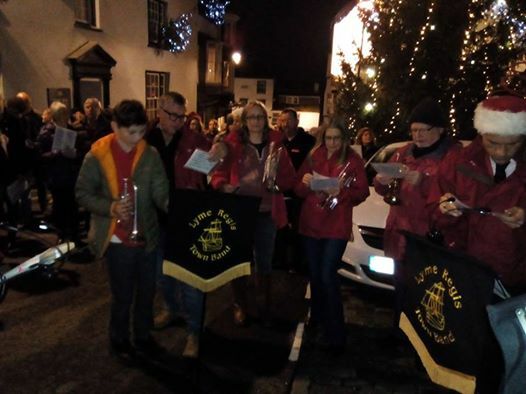 After a break for hot soup, provided by the Royal Lion, the children were invited to stand in front of the band and sing the first verse of Away in A Manger and they did really well. We were pleased to see ex-player, Roger, who joined us on cornet and once again we had some of our youngsters with us – Enzo and Orlando played French horn and trumpet and Josh was on cornet. Thanks to David for conducting us. It was a lovely evening all round. Thank you to Francesca Evans, the Editor of Lyme-online, for sharing this photo with us. This is Stuart Broom, presenting David Tozer with the Gordon Broom Award at our Christmas Concert last Sunday afternoon. Gordon Broom was Stuart’s father and was a founder member of the band. His family donated the shield in his memory and each year band members award it to the person who they feel has contributed the most to the band. Here are our trainees, Josh, Enzo, Orlando and Jonathan performing their pieces at our Christmas Concert yesterday, with David conducting them. We are very grateful to Josh’s Mum for recording this clip for us.